Back again with the simple tips and trick, again this post came out after question How to Change Kali Linux Screen Resolution on Virtual Box. Some of you maybe asking why my question are unanswered?we're still limited human 🙂 sorry if we can't reply or make your requests in a tutorial section. 2. After the required package was successfully installed, (still in the kali linux terminal) now we change the directory to the /media/cdrom/ folder. we can do listing the directory content by running ls command to make sure the virtual box required package was there. 3. 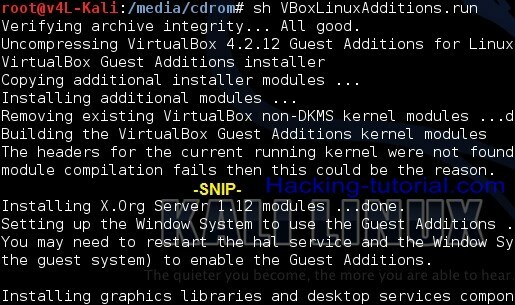 The last step we will execute the VBoxLinuxAdditions.run to install the required package to install virtual box guest additions. We're finished. Just restart the system and kali linux screen resolution already fixed.